Nike will be unleashing several color options of the Air Max 720 during the early months of 2019. 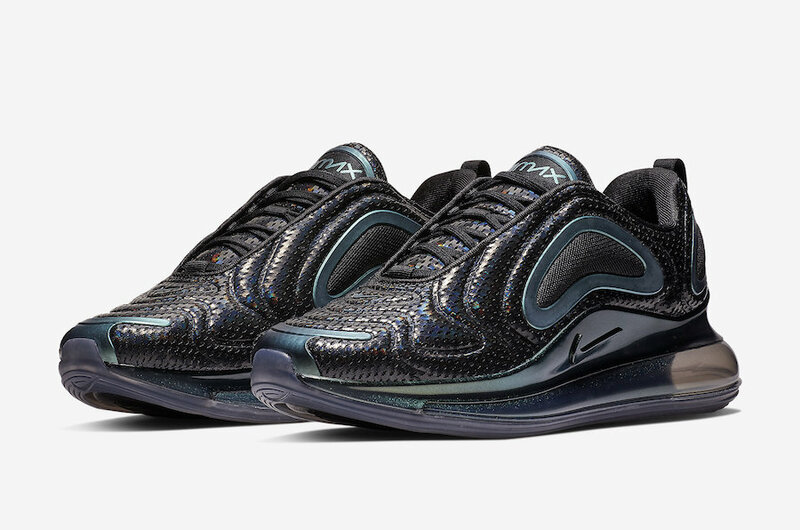 This iteration of the shoe is a bit different from the others previously shared as it ditches the gradient upper for an iridescent looking style. 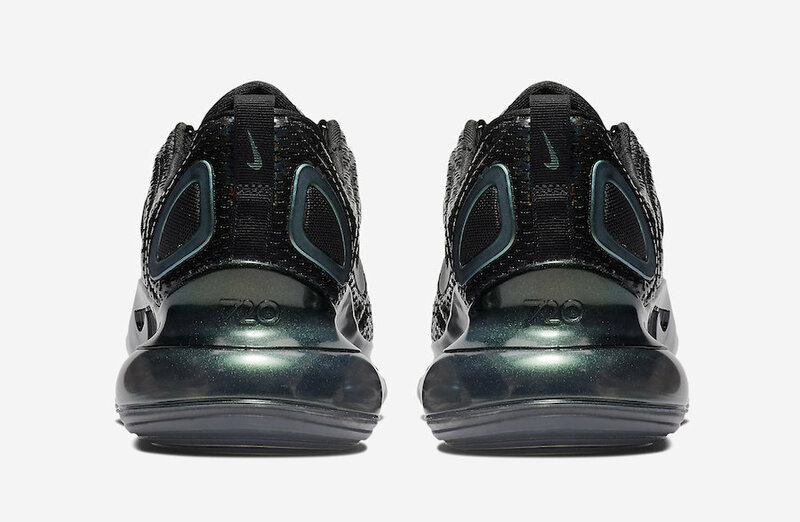 The shoe features a shinny Black upper with Metallic Green plastic overlays atop a sparkling full-length Max Air unit. Check out the official photos below, and look for this Air Max 720 to release on March 19th at select retailers and Nike.com. The retail price tag is set at $180 USD.